Congratulations to Brandon Elliot and Choral Arts Initiative. Sounds like your ensemble performed brilliantly at your debut concert. Listening to your recordings online, I’d say this is a choir to watch as it develops. Their blend and tone are clear. The instrument is perfectly balanced in each section. They’re also young. This choir is off to a fabulous start – looking forward to hearing more good work from them. 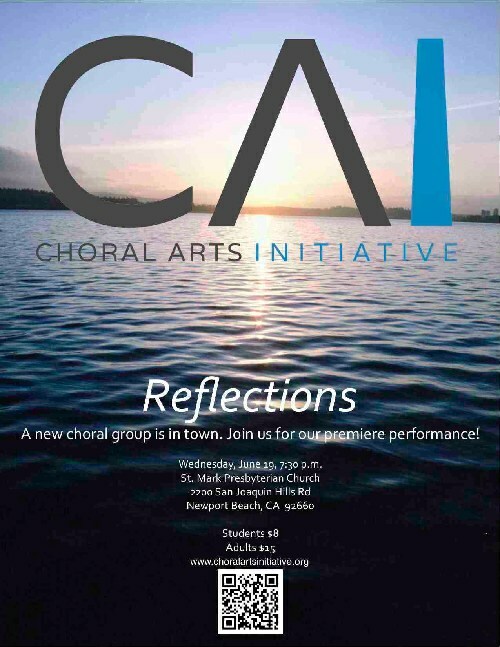 Also some strong recordings on soundcloud: Choral Arts Initiative on soundcloud. I’m very honoured that Gloria was included on the program. Thank-you. Thank-you Lorne for letting the Mennonite community know about our concert at the Aboriginal Friendship Centre, Vancouver. We appreciate your support! 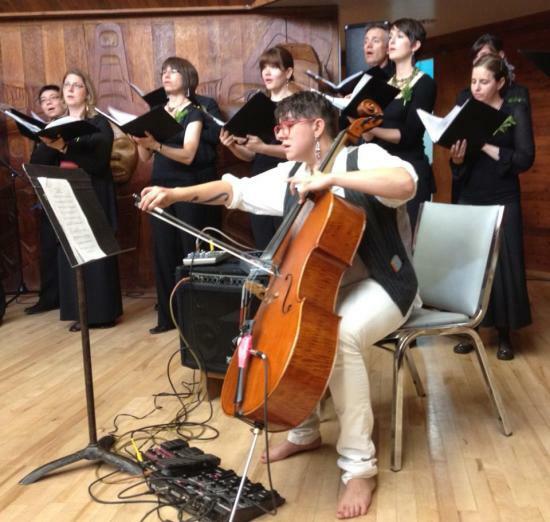 Read the full article at: Vancouver Peace Choir Builds Bridges. This photo is in the Simon Baker Room – the acoustics were great, wonderful to sing with Kirsten and Randy Wood, Russel Wallace, Hussein Janmohamed, and Cris Derksen surrounded by hardwood with this remarkable cedar carving in the background. 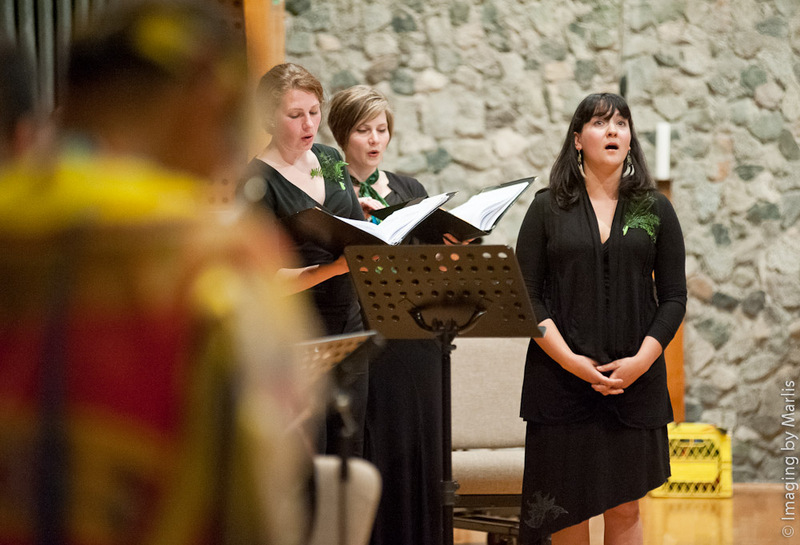 I’m very proud of the work that the Vancouver Peace Choir did in their most recent concert – Honour Songs. Kirsten Wood deserves a HUGE thank-you for sharing her creativity and heart with us. I feel a deep sense of gratitude and privilege for being able to share in this celebration of Kirsten’s Cree culture… a true experience of two cultures standing proudly side-by-side in mutual respect. Thank-you to Russell Wallace and friends for the Coast Salish Welcome and the acknowledgement that your territory is still unceded – we appreciate your warmth and hospitality. Thank-you Kirsten, to Cris Derksen and especially, thanks to your Uncle Randy for enriching our lives. Listen to Randy Wood perform the Rumble, one of the songs Kirsten arranged for our program. THANK-YOU to each member of VPC for sharing this experience!